AKIT estimates the market will top 1 trillion rubles ($17.1 billion) in 2017. 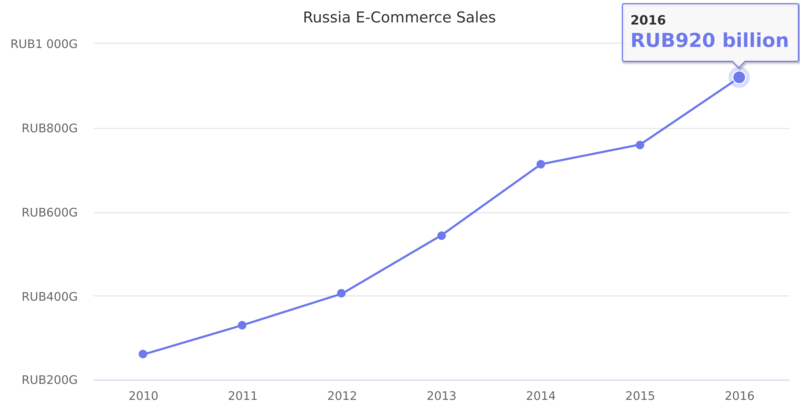 Russian consumers, however, increasingly prefer foreign retailers. Cross border sales are growing faster than total e-commerce. From RUB760.00 billion in 2015 it increased by 21% to RUB920.00 billion in 2016. Source: The Association of Internet Trade Companies (AITC or AKIT). Local currency used, not US$.